Stardust creates this full-of-love-hand-drawn fawn tattoo (Kallima, Kalli, Kalliyan) available at We Love RP this month. Another option for you to be a fawn is plain dot version also from Stardust (Shika, Sika and Shikara), they are available at the store. As for the lovely fat unicorn by Runic, they are full of cuteness! HUD comes with color options and face options. So you can customize your unicorns and place them around you! It was released awhile back at event. But you can now pick them up at the store. If you already get bored with the normal hair style (seems like you can’t find many interesting one nowadays), I suggested Tableau Vivant! I made a windy post last time with the Tempest Hair available at ~uber~. 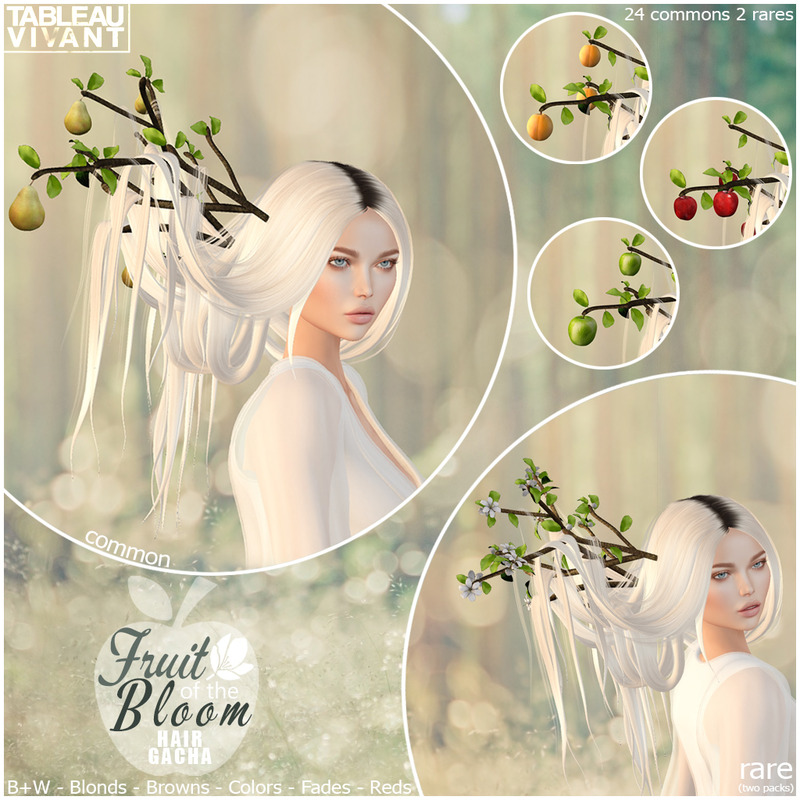 This time I wanna share this Fruit of the Bloom hair available at the Arcade! This collection comes with different styles : apricots, pears, redapple, greenapples, flower (RARE), and bare (25 pulls reward). Standard Tableau Vivant texture as usual. If this hair has a mirror option would be even handy! The headdress I used is =Zenith=Tulip bloom Unicorn Headband, which you may find at store. My unicorn babies wish you sweet dream goodnight! P.S. wants more? -> Flickr!